ESPN announced a major personnel change Friday at one of its sites that has struggled to get off the ground. Jason Whitlock has been developing ESPN's yet-to-be launched site called The Undefeated, but on Friday ESPN announced that he will not be the site's editor-in-chief. Whitlock, a former sports columnist for the Kansas City Star, will remain with ESPN. The channel said that he will "now be entirely focused on what he does best: creating distinctive and compelling content, which will live across various ESPN platforms." Leon Carter, who joined The Undefeated team in January after previously serving as executive editor of ESPNNewYork.com, will replace Whitlock "on an interim basis." The Undefeated is expected to cover issues at the intersection of race and sports. 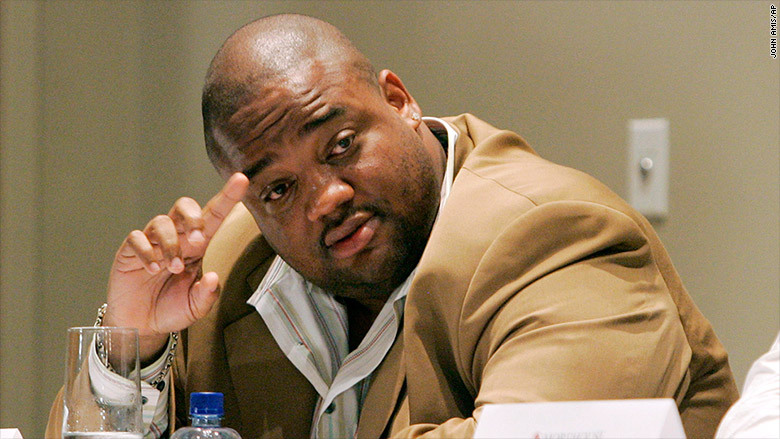 Whitlock declined to comment on the change, telling CNNMoney, "I'm gonna pass right now." The news was first reported by New York Times' Richard Sandomir. For Whitlock, the reshuffling represents another chapter in his long, complicated history with the "worldwide leader in sports." Whitlock was a regular on ESPN throughout the early 2000s, but he left the company acrimoniously in 2006 after taking several shots at a colleague. Whitlock went to AOL and then to Fox Sports, but he returned to ESPN in 2013 to lead the race-focused site. For ESPN, the move is the latest complication for a site that has been slow to launch. The Undefeated was slated to be ESPN's latest satellite site centered around the personality of a marquee journalist, following the lead of Bill Simmons' Grantland and Nate Silver's FiveThirtyEight. Simmons, who has hosted Whitlock on his podcast, has been replaced as editor-in-chief of Grantland after ESPN announced that it would not be renewing his contract. Whitlock once said he envisioned his site to be the "black Grantland" -- a characterization he ran away from in an interview published earlier this month. But the site has reportedly been mired in dysfunction. Deadspin published a brutal story in April that depicted Whitlock as an inept manager unfit to run a site that caters to a black audience. The Undefeated site was expected to go live this month. It's unclear if that's still the case. An ESPN spokeswoman said a launch date has yet to be announced. ESPN insists it remains "fully committed" to the site. "Ultimately, we collectively determined that having Jason focus his time and energy solely on creating thought-provoking content -- his hallmark -- across various ESPN platforms will make our overall content even better," the channel said in a statement.